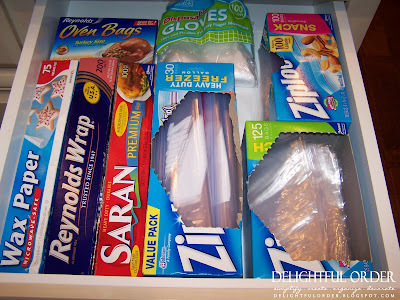 Today I'm showing you more of my kitchen cabinet organizing. 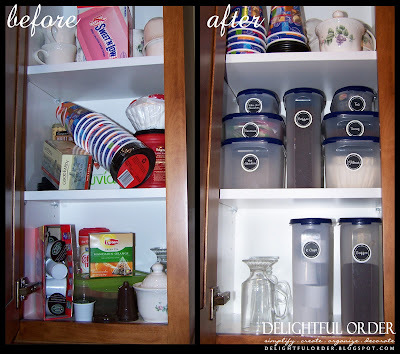 My coffee pot sits on the counter below this cabinet. 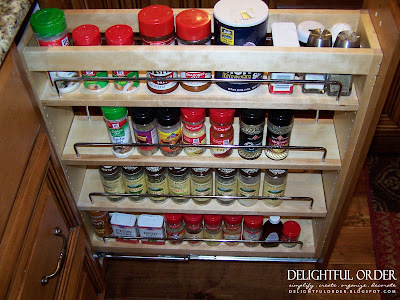 Love my slide out spice rack. 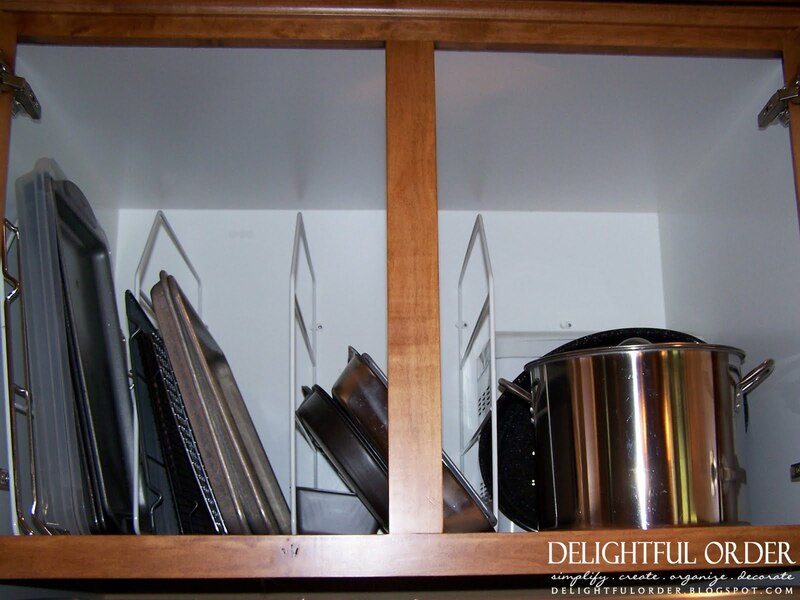 and a place for my pans and cookie sheets, etc. I found this link at LOWES on kitchen organizing. It's got some great inspiration and tips. Check it OUT HERE and be inspired to create an organized and functional kitchen. 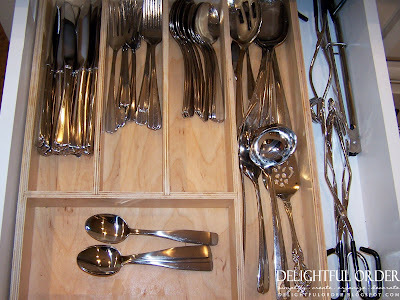 That is my kitchen spring cleaned and organized. It feels so great to be done with the kitchen. How about you? 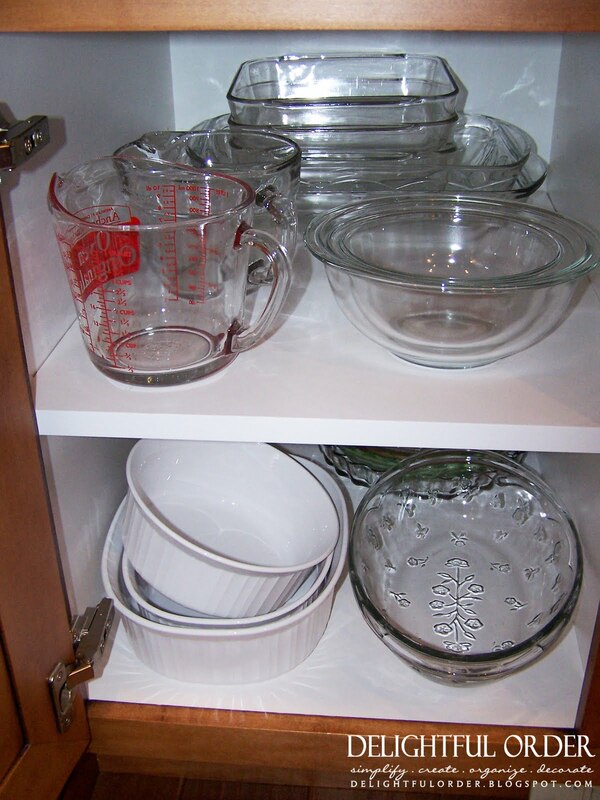 Have you done any spring cleaning in the kitchen? (or anywhere, for that matter?) Remember to link up your organizing projects (or decorating, crafting, recipes, etc. You can link anything that would inspire others) on Thursdays at my Delightfully Inspiring Link Party. I enjoy your labels. I just use a p-touch, but yours are much cuter. GIRL! You BLOW my mind! Can you PaaaaaLease move in with me?! IN NEED OF ORDER! 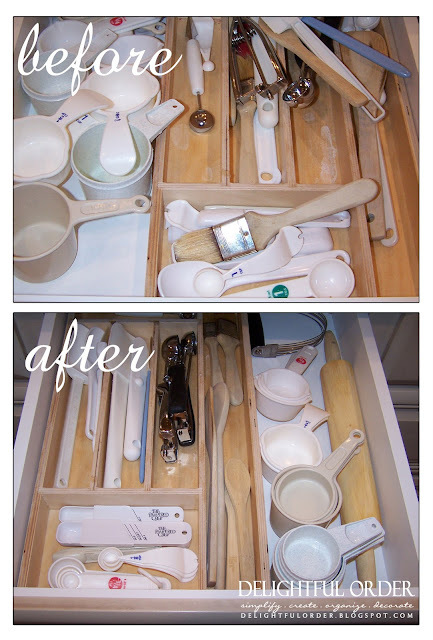 You inspire me... Spring Cleaning here I Come!!! You are amazing! Thanks for the motivation. Okie dokie, now I KNOW I need to re-organize my kitchen! Thanks for the inspiration and count me in as a new follower. Does your food stay fresh in those containers with the blue lid? If so, where did you get those? Yes the food stays fresh containers with the blue lids. 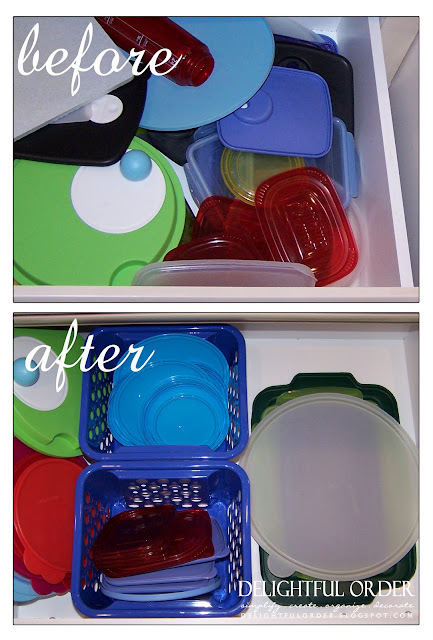 They are Tupperware modular mates and they are awesome! Just found you via Pinterest, love your blog! 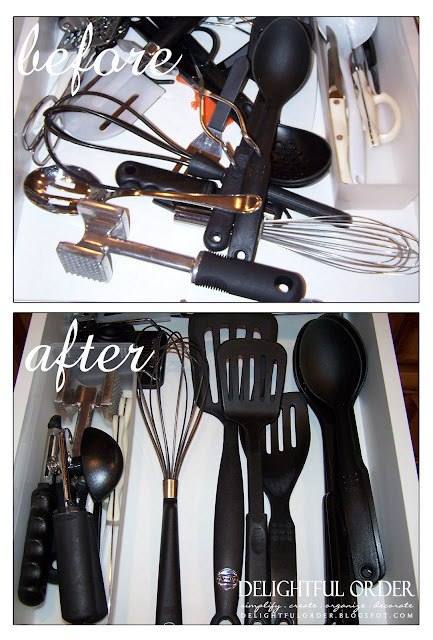 I'm so inspired to organize my kitchen now. 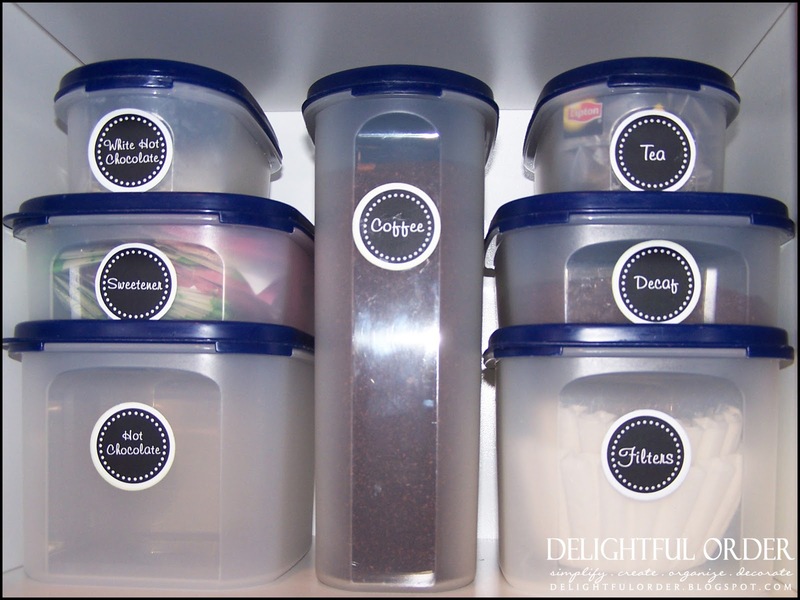 Does the coffee and other foods stay fresh when you put then in a different container? 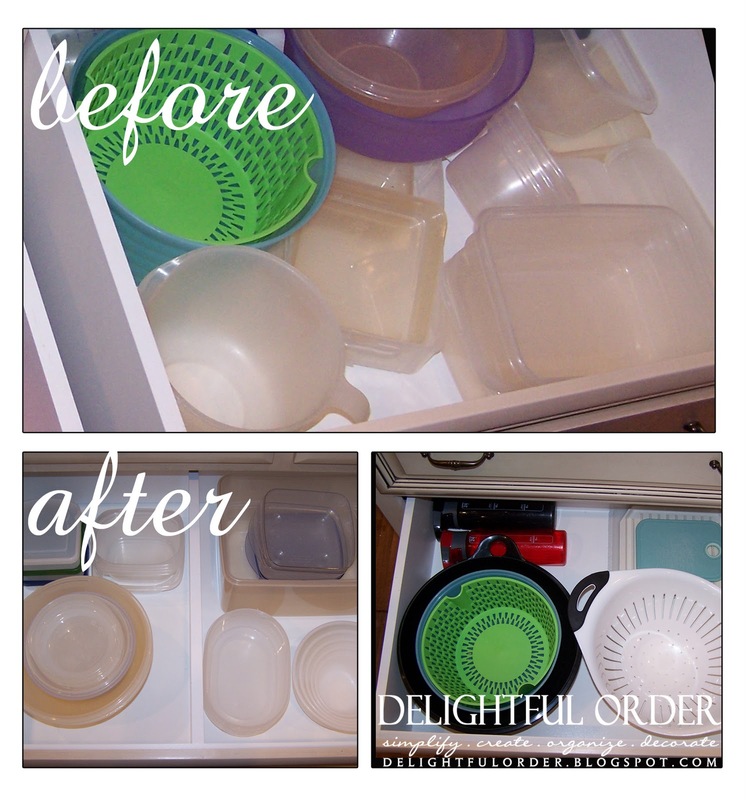 Yes, in Tupperware brand they do. 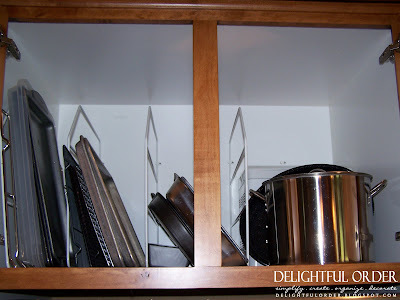 Are those file organizers you are using for the pots and pans?